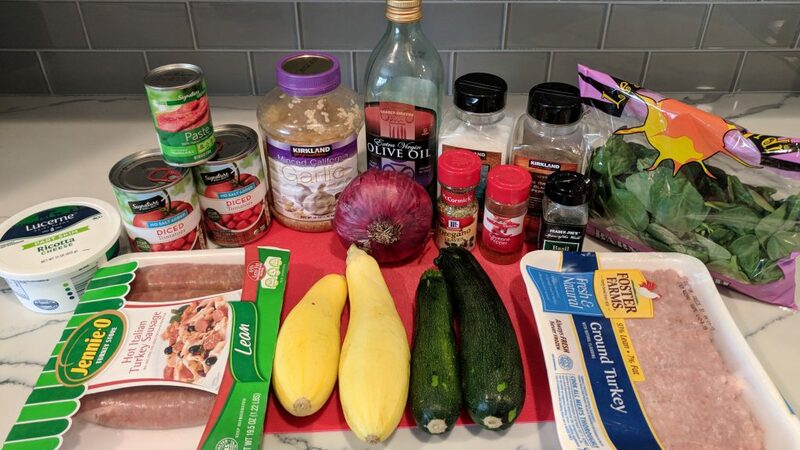 This low carb lasagna recipe is packed with lean ground turkey, hot Italian turkey sausage and veggies! 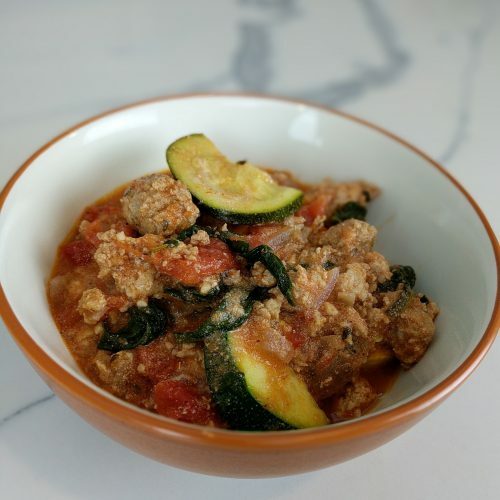 There are no noodles involved in this recipe so it is low carb and high protein! 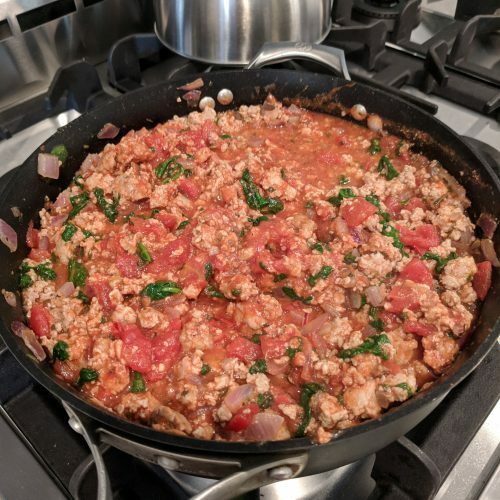 If you loved my meat sauce recipe (click here to get!) than you will love this low carb lasagna even more! This recipe has 395 calories per serving, 15g of carbs, 20g of fat and 38g of protein! 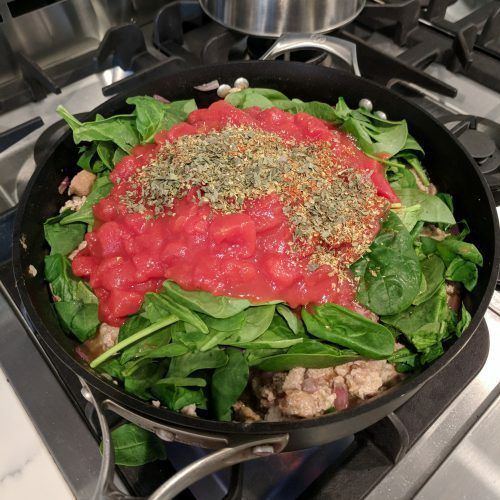 If you are looking to reduce the fat content then spray the saute pan with cooking spray instead of olive oil and/or take out the ricotta cheese. This recipe is naturally gluten-free. I wouldn’t suggest trying to make it vegetarian as then you will be left with veggies, ricotta and tomato sauce. However, whatever floats your boat! 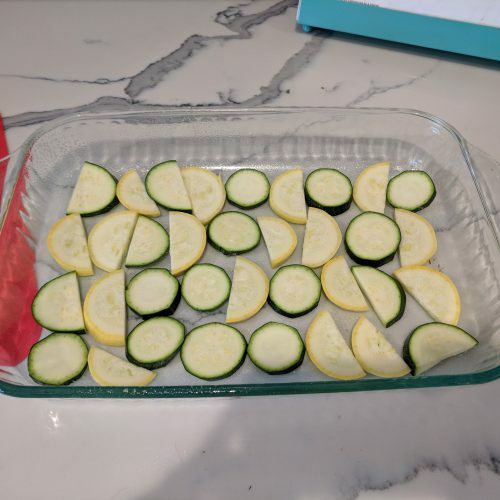 Don’t worry about how you lay the zucchini/squash down in the baking dish. 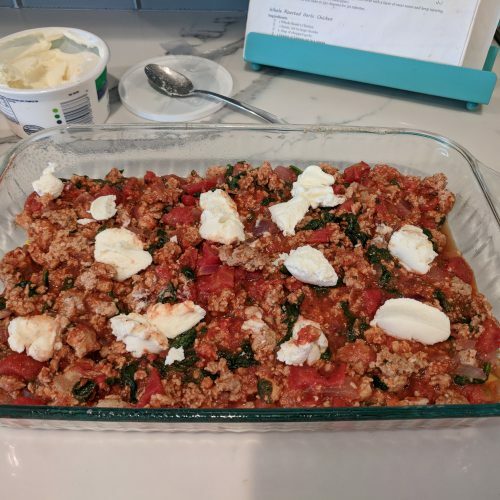 When I first made this dish, I tried to be so methodical and then I realized when you store the recipe in tupperware it all gets mixed together! I still try to alternate the zucchini/squash but in reality it doesn’t matter! The size of the zucchini and squash that you buy will determine how many you need. If they are on the larger side you will probably only need 3 and you will also want to quarter them instead of halving. 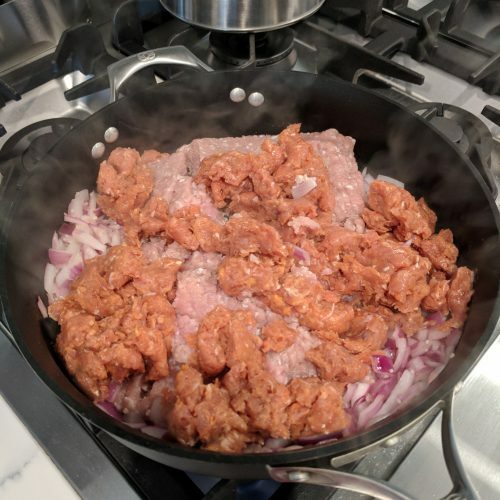 This recipe isn’t that spicy, however if you really don’t like any spice then I suggest removing the cayenne pepper from the recipe and use Jennie-O Sweet Italian Turkey Sausage instead of Hot. Boom! 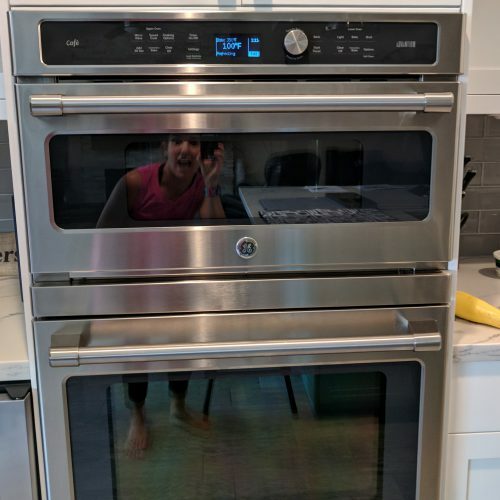 You’re back in business! I serve this over spaghetti squash because it gives you an extra boost of veggies AND because it gives me more bang for my buck. I typically lay a half cup of spaghetti squash at the bottom of my bowl and then top with two ladles of the lasagna. This gives you somewhere around 7 servings. Click here for how to cook spaghetti squash! 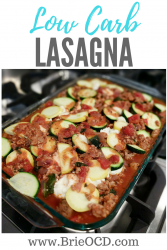 This is a twist on your traditional lasagna but it is definitely a heart healthier version! 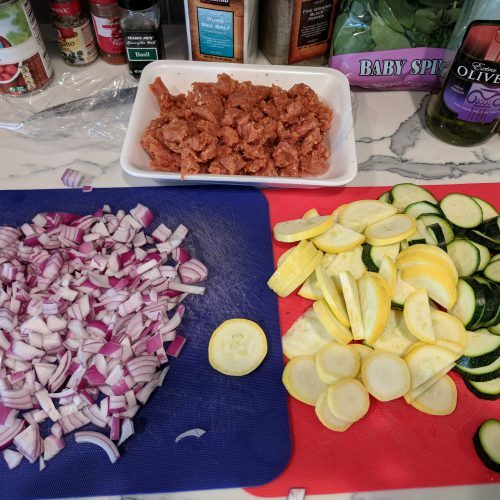 So eat this low carb lasagna on the regular and splurge occasionally on the full noodle, traditional lasagna during holidays! 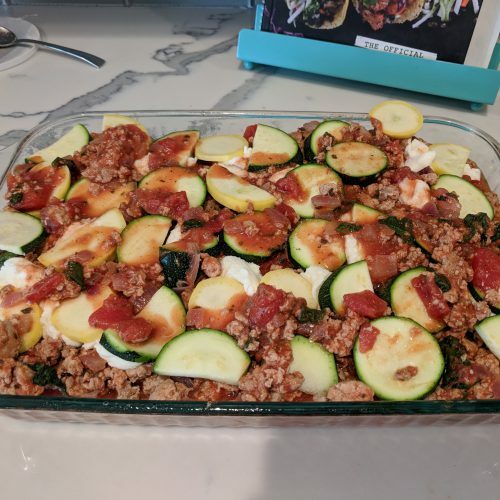 a healthier version of your traditional lasagna with ground turkey, Italian turkey sausage and Zucchini! slice onion, halve/quarter zucchini/squash and decase sausage (click here for how to decase sausage). 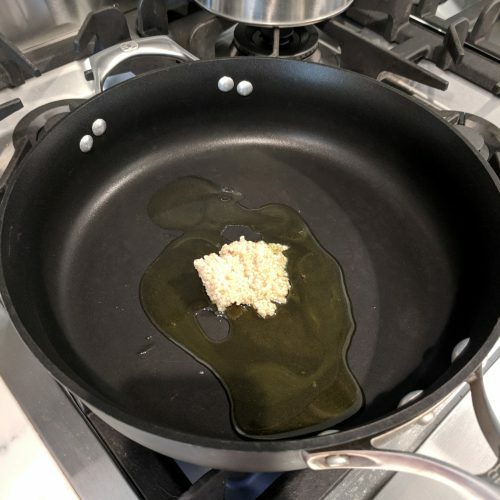 over medium-high heat, add olive oil to the saute pan for about 30 seconds. Add garlic for another 30 seconds. 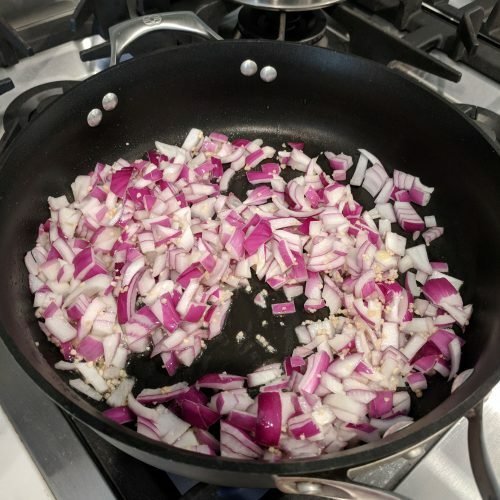 add onions to the saute pan and cook for another 3 minutes, stirring occasionally. add in ground turkey and turkey sausage and cook for about 5 minutes stirring occasionally. meat will still be a little pink. add in all seasonings, spinach, tomatoes and tomato paste and stir. reduce heat to low and continue to stir and cook until all of the flavors have melded together, approximately 5-7 minutes. 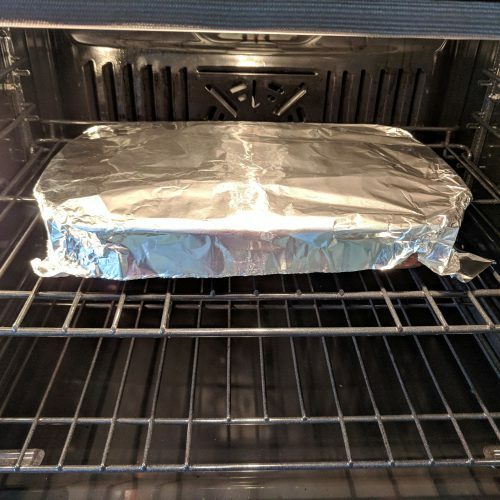 lightly spray a 13x9 baking dish with cooking spray and lay zucchini/squash down on the bottom. 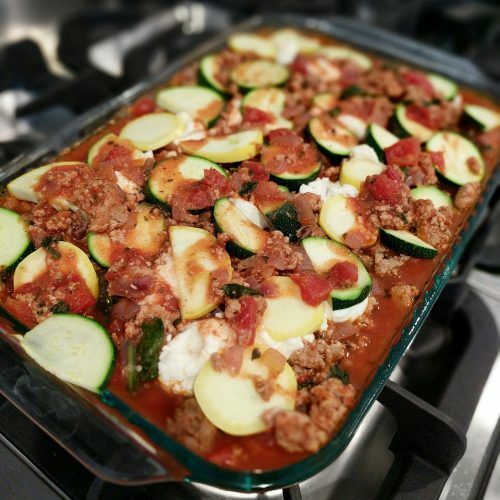 layer meat sauce and 1/2 cup ricotta on top of zucchini/squash. repeat. put down another layer of zucchini/squash on top of ricotta, then add meat sauce and 1/2 cup of ricotta. repeat until all ingredients are finished.